Practical,appealing and of exceptional quality. *Top quality with reasonable price. *Easy to clean and self-clean. 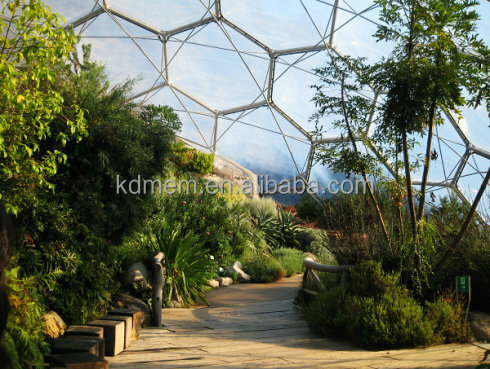 Botanical Garden be ETFE membrane material is much more better than traditional materials. 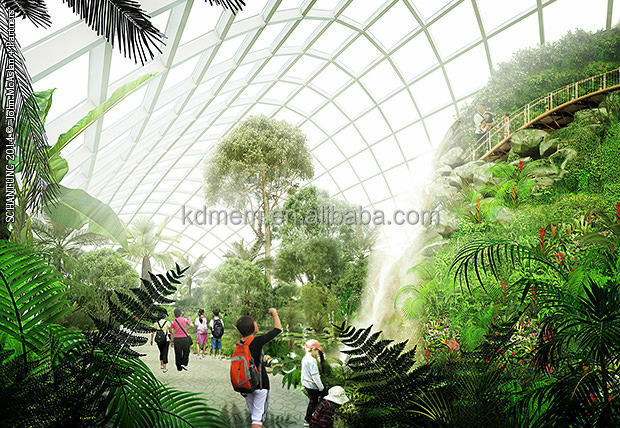 Because the lighting into room becomes diffusion light which is good for the growth of vegetation after ultraviolet rays filtered by ETFE membrane. 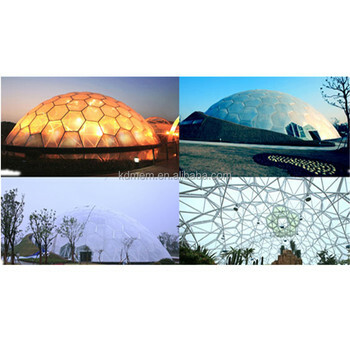 For example of 0.2mm ETFE membrane, light transmission of single transparent membrane can reach 95%, but 50%~55% for white membrane.We can adjust the light strength which coming into the construction by printing the different color or pattern on white or transparent membrane. *Package: As per customer's detail required. Below shows thecomparision of the effect drawing and the actual photo of this very project. We can provide you with design, processing and installation of the best- quality tension membrane structures,as well steel frame membrane structures for architectural shelter solutions that are practical,appealing and of exceptional quality. We are dedicated to the design,manufacturing,fabrication and after-sale services to cater to the needs of different overseas customers. We have undertaken the National Stadium of Beijing Olympic Games (inner membrane in east part) and the wharf awning of 2010 Shanghai World Expo. Besides, we also undertake the Platform project of light railway in Saudi Arabia,commercial street of Singapore River,the Yujiapu station membrane project of Beijing-Tianjin inter-city line extension and Jiayuguan Stadium, China and Africa stadium and other membrane structure projects in home and abroad, winning several awards. We have the Foreign Operation Qualifications that awarded by Chinese Ministry of Commerce. We established joint venture partnership order with America, Saudi Arabia, Singapore, Russia and so on. And now, we are embarking on setting up joint venture factory in Jeddah, Saudi Arabia and joint venture company in Singapore. 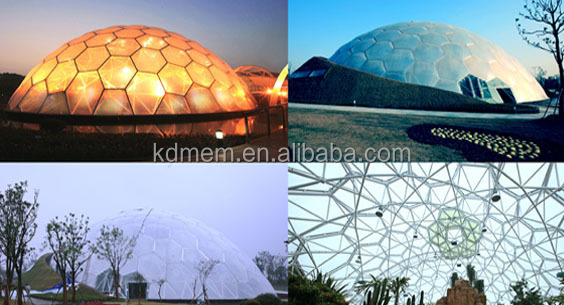 Tianjin Kangda Membrane Structure Engineering Co., Ltd.